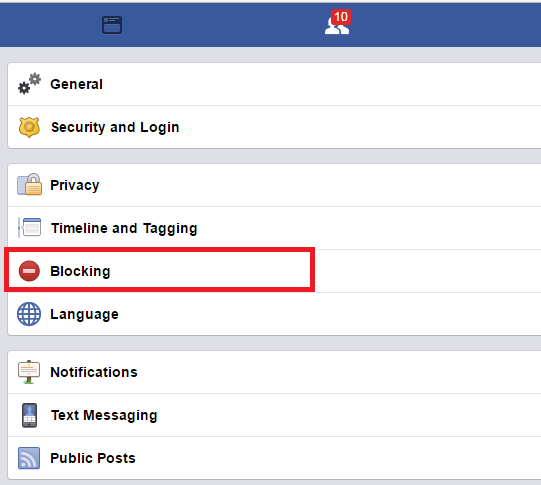 Facebook Blocking Tab is where you control blocking. Maybe users, pages or apps. There are options: Restricted List, Block users, Block messages, Block app invites, Block event invites, Block apps, Block Pages. How to go to Blocking Tab? First, you need login Facebook and go to Facebook Settings. Or you can click here and go to Blocking Tab quickly.